The first 18+ male figure has been announced! Release date is scheduled for January 2017! Nendoroid Mink has been announced! Comes with a face plate for Aoba Nendoroid! Nendoroid Clear has been released! Nendoroid Koujaku has been released! Comes with optional hand parts for holding hands with Aoba Nendoroid! Nendoroid Noiz has been released! Ren: Rhyme Mode has released! He looks great! Ren: Together Forever Ver. is the variant of Rhyme Mode Ren and has also been released! 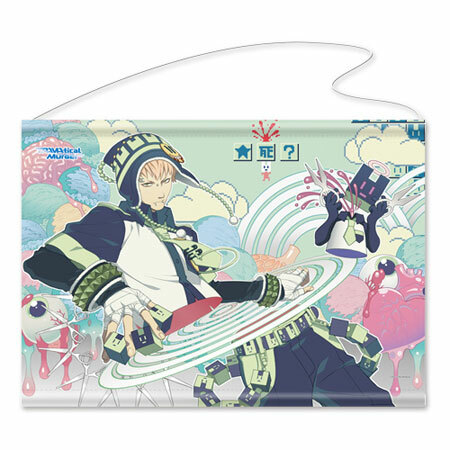 DRAMAtical Murder Trading Chimi Figure Collection has been released! 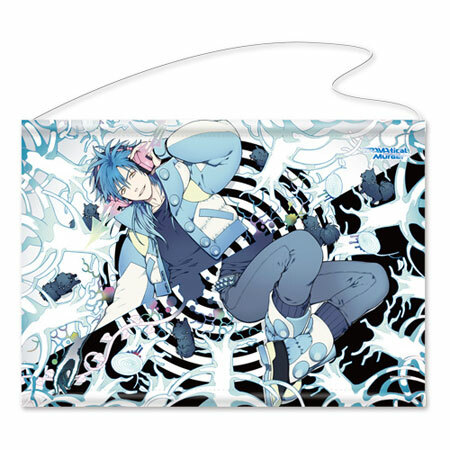 Dramatical Murder Large Tapestries & keyholders with matching illustrations! Release is August 2016! 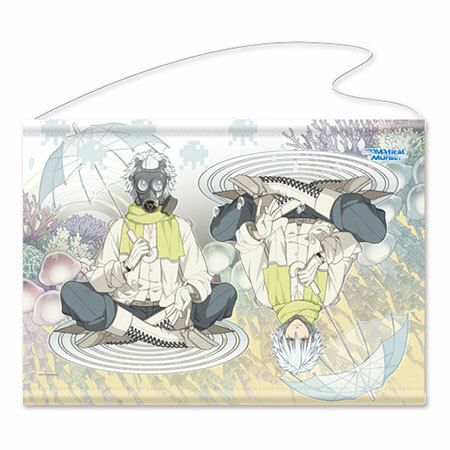 Need more DRAMAtical Murder Figures in your life? 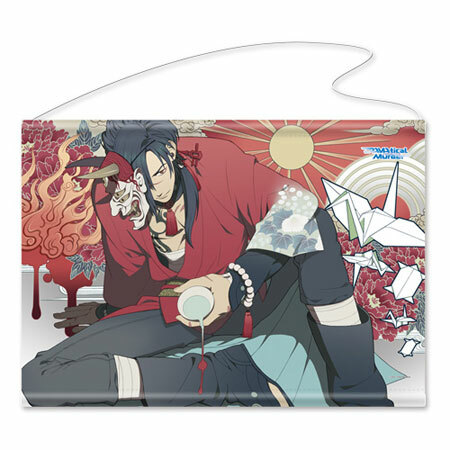 Need the DRAMAtical Murder games localized? The links below will tell you where and how to do this! Also ask Nitro+ directly! inquiry@nitroplus.co.jp They only respond in Japanese right now but more requests may change that! Use google translate and send them a short and simple message asking for DMMd in English! Hey guys! So, exciting news!!! sweet pool is finally up for pre-order from Jast Blue! To be released on its Japanese 10th anniversary! They are giving us two stellar collectors editions! 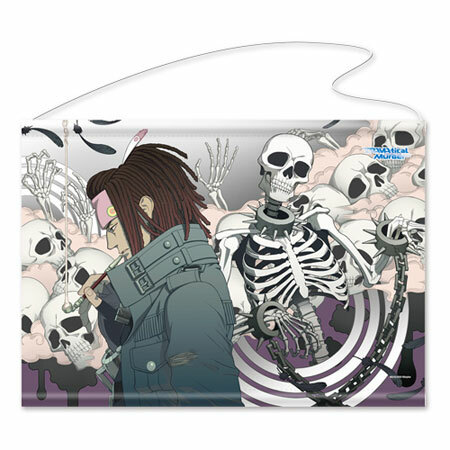 Make sure to support them so we can get an even more awesome collectors edition for Dramatical Murder!!!! I forgot to mention this last time but Jast Blue is ALSO bringing over the new N+C title slow damage!!!! So we will have ALL N+C titles officially in English!!! What a time to be alive. blackducan (Hace 9 meses) #36879763Wonderful news!I'm French so I don't know if I could get them but very happy and very interested to have all the N+C games in English!!!! Sekhmet (Hace 9 meses) #36878595Guys it’s official. DRAMAtical Murder is headed to the west in English via Jast Blue! TIME TO EAT SOME CAKE. They’re also bringing over all the other N+C titles as well! TnC and Lamento! So now we will have all four titles officially in English AND completely uncensored! Make sure to show your support! Wonderful news!I'm French so I don't know if I could get them but very happy and very interested to have all the N+C games in English!!!! Guys it’s official. DRAMAtical Murder is headed to the west in English via Jast Blue! TIME TO EAT SOME CAKE. And don’t forget to support the official English release of sweet pool from JAST Blue (no date as of yet). It may very well lead to DMMd getting released in English as well! This is amazing news! We are even closer to getting DMMd released in the West. And When asked about the new Vita version of Sweet Pool Jast said they will have more info soon, so there’s a possibility we will have that one too! They are taking suggestions of titles on their social media sites so make sure to request DMMd! This is a huge step and super exciting! Please make sure to support the English release! And side note, anyone know if they decensor their titles? Jast I mean? I hope they do for this!